Benjamin Lokshin is a program officer with the Asia Foundation, where he plans and manages technology-driven development projects across the Asia-Pacific region. 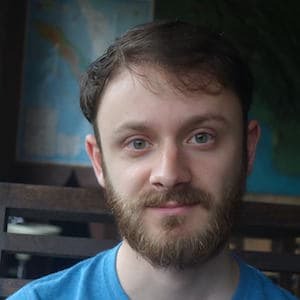 Ben’s work focuses on developing new mobile and web platforms in Nepal and Thailand, and he also contributes to research initiatives on digital financial services, digital literacy and the impacts of online platforms across the region. In Nepal’s rural areas, foreign employment in wealthy economies like Qatar, Saudi Arabia and South Korea can be a huge economic opportunity. But migrants to these countries are often exploited by employment brokers and others, who take advantage of the complexity of the migration process to charge high fees for job placements or loans. Benjamin Lokshin at the Asia Foundation discusses the foundation's innovative 'Shuvayatra' platform, which leverages mobile tools to help bridge the gaps between migrants and providers of important services.